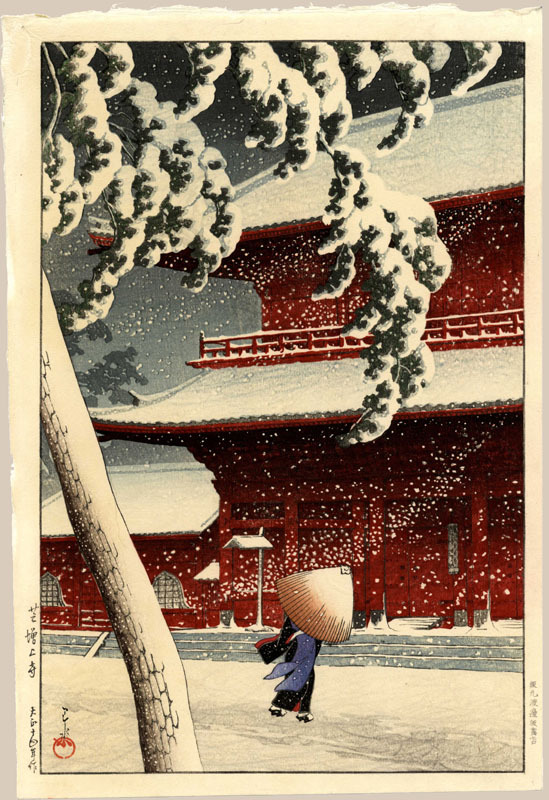 Hasui, Kawase (1883 - 1957), "Zojoji Temple, Shiba"
15 -1/4 x 10 -1/2 "
Very fine, with fresh colors. Notes: A superb early impression. The most recognizable design by the artist.